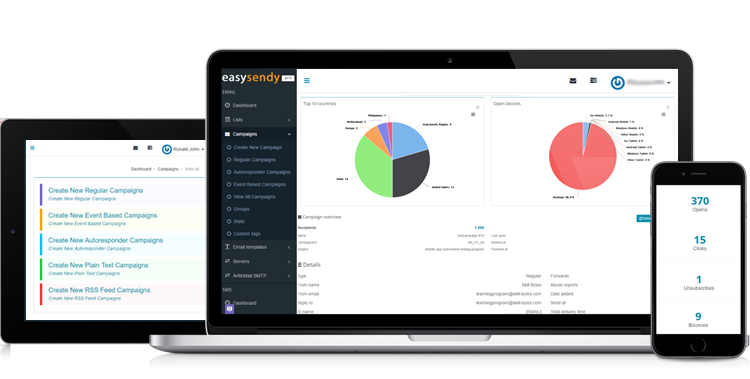 EasySendy is a marketing platform for online gig creators like, bloggers, podcasters, vlogger, business coach, YouTubers, makers, writers, course creators, consultants, freelancers, author, coaches, musicians, photographers and startups. 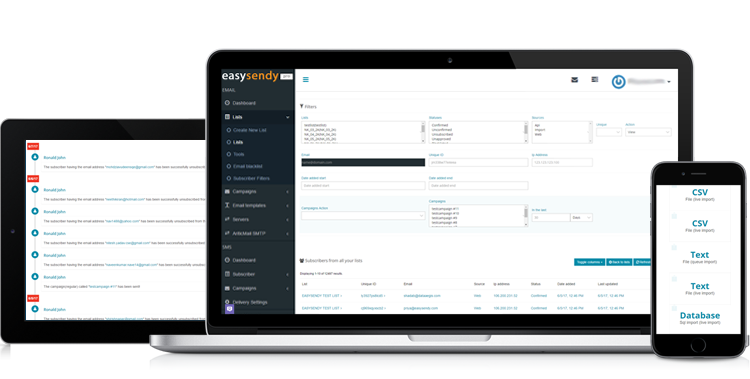 With EasySendy, you can launch various campaigns to engage with your subscribers and customer, through autoresponders and automated drip email campaigns. You can also manage and engage your Facebook messenger subscribers. 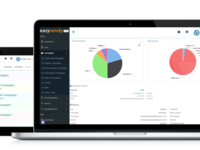 EasySendy Pro Reviews Recently Reviewed! Pros: If it works it works,sometime. Easy Send if you question this review feel free to have a supervisor that manages the support desk and hides behind them to contact me, and give me a supervisor that I can escalate my problems to when needed. Cons: The software may be ok, but the support is extremely poor. The base of this is that India people don't understand the american business man, or business in general. In America if something you are paying for doesn't work, they would first be aware of the outage, then fix it, then confirm that all of their accounts are operational. That is why American business is so successful. This also confirms that there clients are content and keep using the service and keep making their income higher because if it not working then the client can't increase the income to the service company. Their logic is to charge a base fee every month, it it works there is additional income to the company. If it doesn't work they still have the base fee every month. 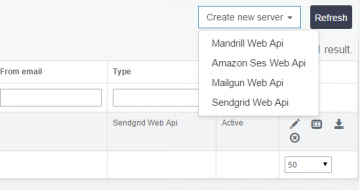 You have no recorse to get that base fee even though you can't use the service because it is down! Overall: Throw in this the complex communications with india, it is not just a phone call, it is email, possibly a support page, or skype. Either one they must read what you write, and interpret it. Don't get to complex, or they will never understand what you wrote. I write quite clearly, even in technical issues, can you read this ok? I guess I would say they are trying but not ready for Prime Time Service. The only one that I know of that is wors is in India as well. That one it took me 6 month to get operational and if there was a problem the lead support couldn't fix it. In India Services the support desk do not take responsibilit for the correction of the service problems. On of the most irritating problem is the time zone. Their hours are oposite of America, So if you have a problem it doesn't get attention until that night, Then you get a half answer the next day. If it happens on out Thursday, Friday or Saturday, forget it. The problem won't even be looked at until our Sunday night st the earliest. So you have a 4night window at best for someone to response that they are down. I am paying them for the service why should I also be the one to advise them they are down? I have a big item that stops first time serious users of the system. If you start the account, you, yes YOU must do all of the technical setup. You are a new user, and you are responsible to get this set up. If you have any problems then Refer to the information above. Pros: Low price vs competitors like Mailchimp. Has a decent feature set, which seems attractive on paper. Cons: UX is terrible - even basic stuff. Emails are listed by IDs not by title. Login field is constantly obscured by ads on the homepage. The price plan page is nearly impossible to understand. Had bad issues with the service as well. Some recipients received all timed autoresponders at once, for example. Others were unable to unsubscribe due to 500 server errors. Customer service is terrible, also I was charged twice for several months which I had to resolve with customer service. Thanks for the review Marek. 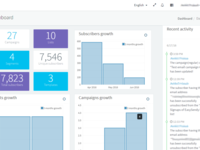 Basically we are in slight different segment than MailChimp as, now MailChimp has moved more into marketing automation, we are providing bloggers and e-commerce companies to send email campaigns at competitive edge. 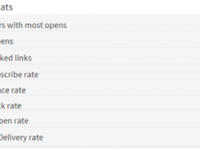 Also since, it is hybrid email marketing solution, it is meant to deliver large volume email campaigns, so the options for small volume email senders looks little complex for uses. Cons: all is well but by using thie software for over six months, i feel that they need to work in improving the servers quality so that they can match the standards of international email marketing vendors. Pros: The interface looks functional, but don't let that fool you. Cons: There are always issues and when you have a problem, they say it'll get fixed. I used the service for almost a year...a REALLY LONG, difficult year with them. Overall: Absolutely unprofessional, horrible, just bad! The price and feature set may look appealing, but so many features don't work properly. They also hit you with surprise fees on a regular basis. On top of that, they could never discuss issues on the phone and were very rude. The analytics are all wrong. List management for unsubscribes is real bad. Go elsewhere! I'm happy with my new provider! 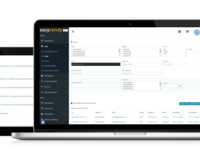 Comments: Seriously speaking I have been very happy user of Easy Sendy for over 7 months now. The product is great and has a lot to offer, except for the support, which is not that good. Big SPAM - Even your good running campaigns will start going to spam. NEVER USE IT. 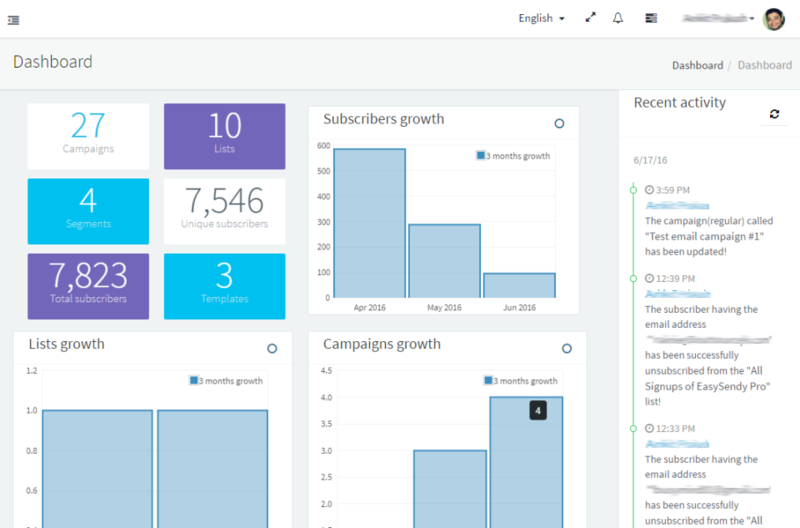 Pros: They pitch by saying they offer list building at low price along with their dashboard. The guy help me onboard on their platform but I was worried why are they giving such priority to me but then with the very first campaign I realized, my campaign had been ruined by them. Even their own mails land to spam folder, just imagine. The founder keeps sending you mails and asks for feedback, I shared feedback 3 times that they had ruined my campaigns but the mailbox was no reply. I guess some teen ages has opened this and is looting money. Cons: The moment you use the list from easysendy, gmail recognizes you and end you in SPAM folder. 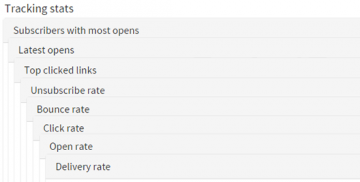 I was having open rates around 8% and in the very first mail campaign through them, it was 0.8% and then even lower. They ruined my hard work and IP reputation. NEVER USE THIS PRODUCT GUYS. Comments: The one missing feature for me is A/B testing of email titles. If this is added, EasySendy Pro would ne perfect. 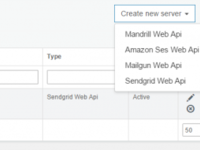 Oh, also the API is sometimes not interacting with my widgets from getsitecontrol.com sometimes, giving error messages. Other than that, quite satisfied.